If you’ve stumbled upon LydiaLulu at any point in the past 18 months then you’ll probably know all about my ongoing battle with my hair. Yes, it’s a daily struggle just getting it to co-operate and even then I admit defeat most of the time. Hair - 20 years, Lydia - 0. 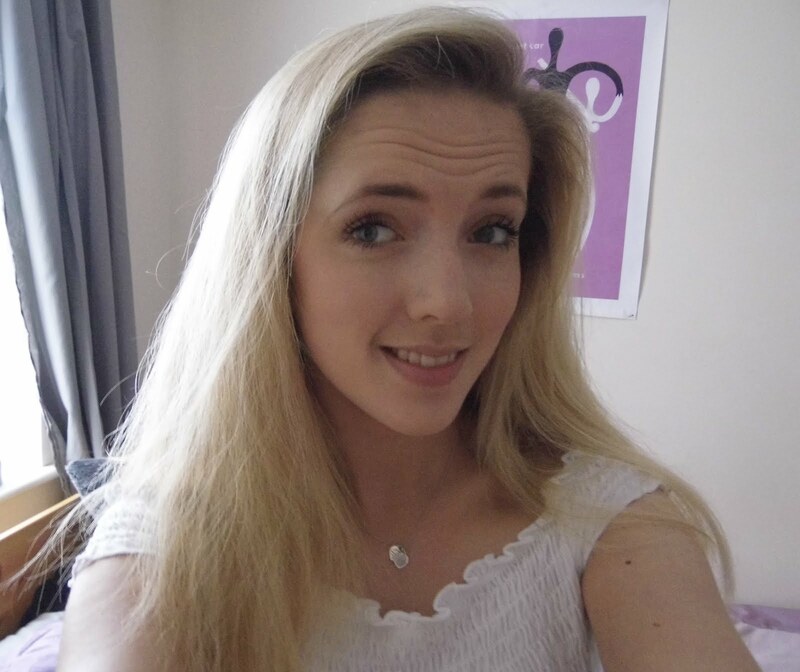 It’s not all doom and gloom though - my long blonde hair is kind of my trademark. And this Summer I discovered new ways to try and fight back. Now that we’re approaching my favourite season of all, my Summer haircare is coming with me. 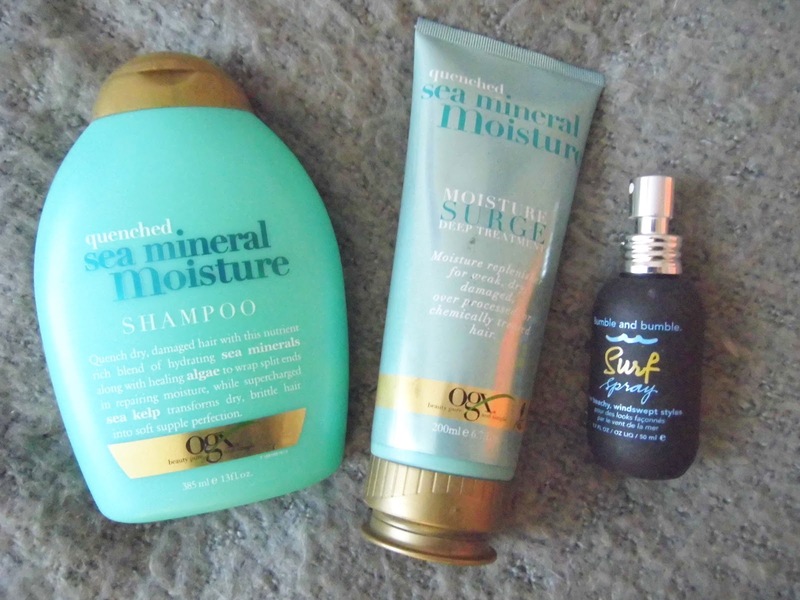 It all started with the Ogx Sea Mineral Shampoo and Conditioner combo I discovered when I was in the States. Ogx is a brand I’d never really dabbled in before. I’m very much a Herbal Essences turned Aussie/anything that’s on special offer in Boots kind of gal. And to be totally honest, I was always put off by the price of this brand. £7 per bottle of shampoo or conditioner? No thanks. I only invest in products I know will be worth the extra pennies and £14 on a drugstore haircare just seeped a bit steep. But when I was in America last month, I scooped up the Sea Mineral combo because… well because it was half price and I was curious. I ended up using it for the entirety of the trip and even went out my way to hunt down a Duane Reed on our final day just to pick up more. Yeah, I’m that kind of girl. Turns out my hair just downright loves this brand. It’s not too perfume-y - an absolute no-go for me as I hate other scents clashing with my fragrance! - and it feels really nourishing and rich. As a result, my hair feels really hydrated (the mask has been working wonders) but light and not weighed down with product. Afraid the mask looks like it's only available in the US at the moment but fingers crossed it makes it's way across the pond. I stand by the fact that these products are a little pricier but a little really does go a long way so I’d say that it probably evens out with the cheaper brands available on the High Street. Having said all this, I’m not particularly fussy when it comes to haircare - I’d love to one day try Living Proof - but when your hair is as high maintenance as mine, I simply can’t afford to splash out on products I need to use everyday. I think Ogx is my perfect middle ground. Like I mentioned in my Sephora Haul, I picked up a tester of the raved-about Bumble&Bumble Surf Spray to see what all the fuss is about and I can’t believe it took me this long to try. It’s one of the best things that has ever happened to my hair! 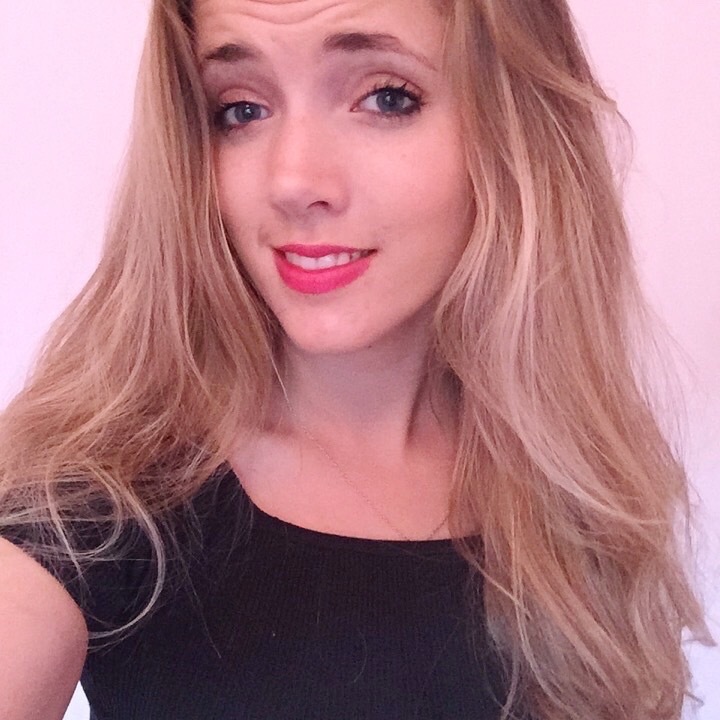 No complaints here but my hair is very thick and shiny which can sometimes leave it looking a bit flat and boring - the Surf Spray adds a bit of texture, making it so much easier to style, and keeps it looking good on days even when I just want to leave it alone. Best of all? It's completely unscented. It keeps things looking perfectly undone if you know what I mean ha. I apply the spray to wet hair, running it through with my fingers, and then tie it up in a towel to enhance my hair’s natural wave. It’s a very Summery look that I’m bring into Autumn with me. Lydia - 1, Hair - tamed.